How do I exchange with Trezor? Open Exodus and connect your Trezor. 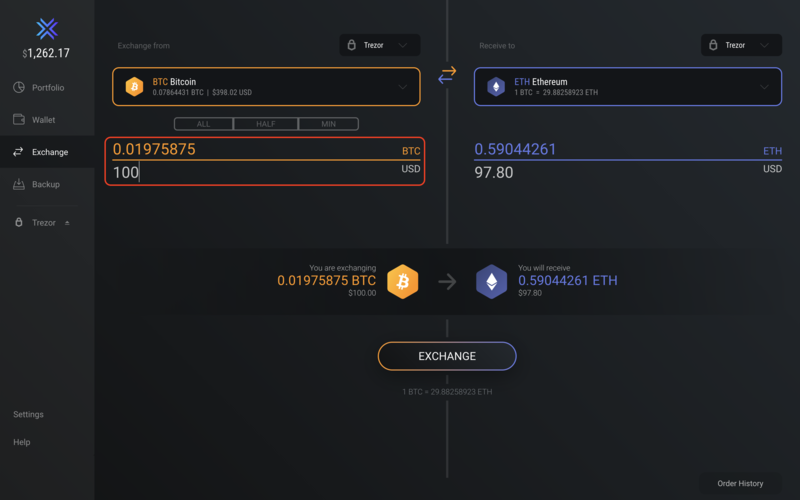 Click on the exchange button on the left side of your Exodus wallet. Choose between your Trezor or Exodus wallet on the sending and receiving sides of the exchange, directly above the asset selection drop-down menus. 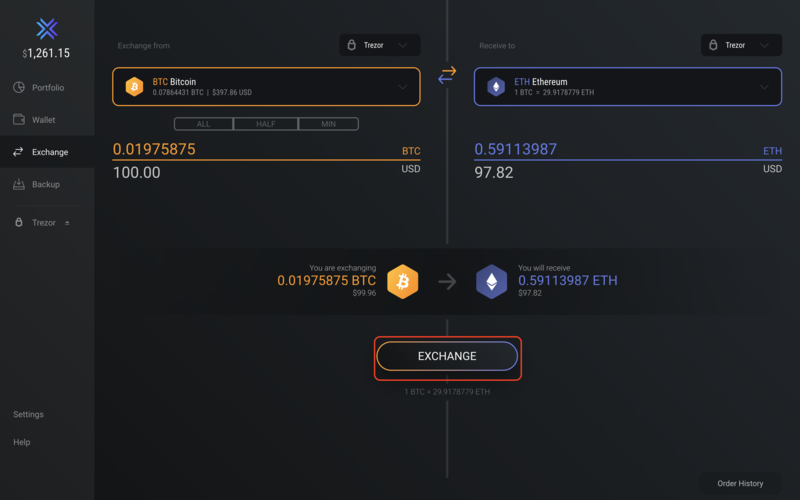 Select the amount of the asset that you would like to exchange. 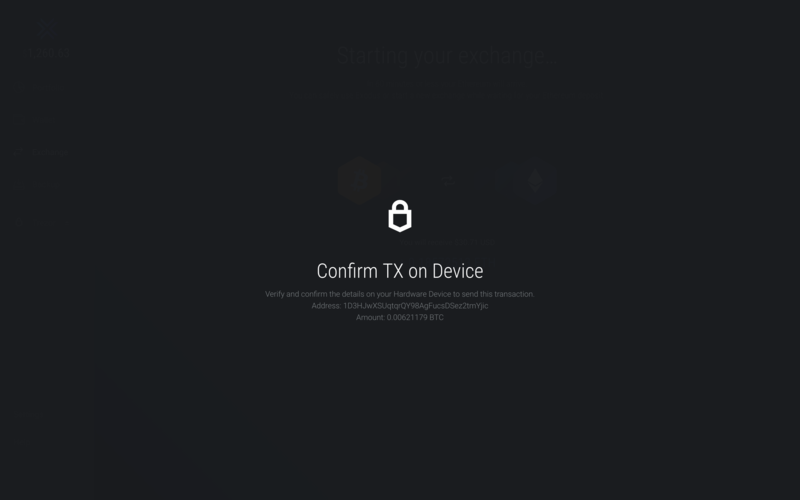 Confirm the exchange details displayed within your Exodus wallet and approve the transaction from your Trezor device.